My sister, Pam Woodbury LeRoy, would have loved her wake and memorial service! Everyone she loved the most was there – children Darcy, Curt and Michelle and their husbands Russ and Ed and Kristin; grandchildren Tyler, Cody, EJ, Heather, Ethan, Annie, Gus, Zac and Luke and then Maddie and Hayden Lightly, the 2 she informally adopted; sisters Linda, Cyndie and me, my brother Woodyand our significant others, Jerry and Russ; all of the Stagg cousins, including Danny, the one she partly raised; finally Jack Myer, who represented the Woodbury clan. Pam’s heart for people was bigger than she was. Fun to be around, she smiled and laughed most. She was the grandmother “Benyen” every kid wanted. Matriarch of the family, she was the first port in a storm, the major caretaker who everyone turned to when they needed help or advice. “She is family,” we heard over and over again – from childhood and Ramapo Regional H.S. pals (Skip Burgess, Chuck O’Brien, to name a few) to longtime Wyckoff NJ neighbors and friends (Norm Taranto, Steve and Lee Cherry, Steven Rae, the Soumas family, Jodi) to Milford PA neighbors and friends (Mailbox Sue and Fred, Milford PA Garden Club, Curves, Swim Aerobics, Book Club, Mahjong) and even new friends (swim class and upstairs neighbors) from Franklin Lakes, NJ. Pam always wanted a Stagg family cousin reunion…well she got one, minus Aunt Hope. Cousin Father Bob Stagg led the meaningful service. Granddaughters Heather spoke of her grandmother’s talents, Annie and Maddie and grandson Gus did a responsive reading. Nieces Kelley Drukker and Alexa Thomas Ingram provided reflections. Woody performed his special eulogy, with deep emotion and then levity, from the ONLY Brother’s perspective. Danny added a funny tribute and Pam’s son, Curtis, closed the house with an amusing tale. Pam would have relished the parties afterwards. As the wake was closing and the Oakland and Wyckoff Fire auxiliary, Police and EMS departments were saluting her, the fire whistle went off. Firemen including her grandsons and granddaughter Heather rushed to their cars, Cyndie raced to the fire—that was one street away from the family compound owned by Linda and Woody! Everyone got to watch them put it out. The next day as the service ended, the same thing occurred, only now the luncheon was at the firehouse! This was one of Woody’s main heart-throbs when Derek was a baby. She and Woody are godparents. She had a “batmobile” at the time! Pam must have been guffawing in heaven! She touched so many lives, just by being herself! In her honor, PLEASE LAUGH and SMILE once today. One of the benefits – if you could call it that- of having more leisure time than you would like is that you can volunteer more. Recently, I helped Helen, 92, from my church (First Universalist Society of Franklin, http://www.fusf.org) who needed emergency services at Milford Hospital, http://www.milfordregional.org, in Milford, MA. Helen had wrenched her back muscles while taking care of her younger sister, 88, who was just home recovering from a knee operation. Let me tell you, Helen is one of those remarkable people who still has loads of energy, fitness and all of her wits about her. She is a retired nursing director. But on the day I took her to the hospital, she was in excruciating back pain and practically crippled over. Despite her pain, throughout that whole long day, Helen was more worried about her younger sister than herself. The Milford Hospital doctors, nurses and specialists treated Helen with great respect and after many different tests and an MRI, all recommended that she be admitted for more tests and so they could alleviate her pain. But neither Helen, nor her sister, had any other living relatives. The main dilemma was who could care for her sister while Helen was hospitalized. So Helen asked me to drive her home. Our UU minister and a social worker tried to get Helen’s sister readmitted to the nursing home, but her health insurance (Medicare plus supplemental) prevented that. A private aide was too prohibitive. Finally, a patchwork system of volunteers from the church would deliver a hot meal, check in on her sister daily, so Helen could return to the hospital to receive the back treatment she desperately needed. It is just over three weeks since I admitted Helen to the hospital. After three days at the hospital, Helen was scooted to a nursing home for physical rehabilitation and rest. Because of medical insurance regulations, she now must come home, even though she cannot stand yet. What happens next is anyone’s guess. Neither Helen, nor her sister, should be left alone for long periods of time. Which begs the question…..what do people do when medical insurance and Medicare both say no, and they have no relatives to help them further? My Grand-dog, Owen, the best dog in the world, died Tuesday and went to doggie heaven. 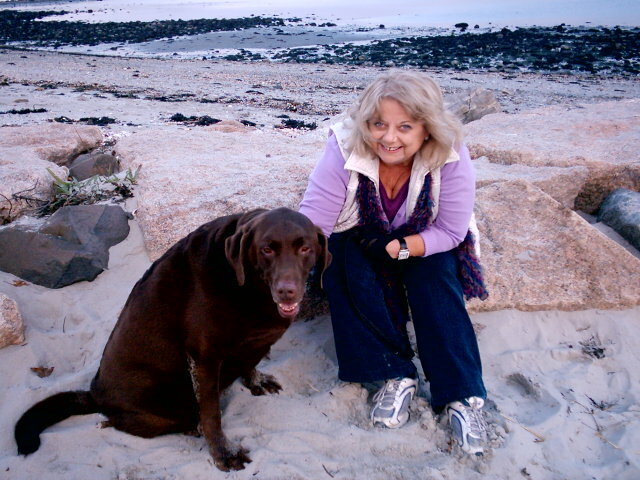 Owen, a chocolate Labrador, was a loveable companion to my son, Dylan, for 12 1/2 years. Owen may have gotten old, but he never lost his child-like sense of fun. Whenever he heard my car drive in the driveway, he was up and barking, bounding out to greet me with his wagging tail, excited jumps and wet kisses. All he wanted was a love, a pet and then he was all smiles. Owen had a real personality, similar to the dog in Marley. The difference was that he behaved around his owner and knew when to be good, for more pets and kisses, and when to whine, to let his owner know he needed some attention. Owen had a long, happy, adventurous life with my son. He attended UVM, lived at various times at a beach house in Milford, CT, at a farmhouse with loads of acreage and deer in Westport, CT, and at an apartment in NYC. He even traveled cross-country and back on a whirlwind trip with Dylan. In fact, I often had visions that Owen drove part of the way. Born in Vermont, Owen was trained by Dylan when a young co-ed had no idea what to do with this puppy. When she got a chance to go overseas for a year, she willingly gave Owen to Dylan, who by this time was spending most of his days with the young puppy and had come under Owen’s spell. For the first three years of his life, Owen romped with his brother and sister Labs in a house just off campus. Owen had a ball, getting into puppy mischief, attending all of their parties, air-jumping into Lake Champlain, hiking mountains and learning to heel and walk the streets of downtown Burlington without a leash. Owen became a real “chick-magnet” for his owner, knowing how to charm the ladies. When Owen rode in the back of the car, he would show his excitement for where he was going. When on I-91 north, he would not stop being excited the whole ride until he got to see his brother and sister in VT. In fact, on every trip back to VT, Owen would rarely sleep, but play the entire time until he left. When he traveled in my car on I-95 North, he knew he was going to the beach and couldn’t wait to chase the birds or mark his territory on our walks. But Owen also sensed your mood and knew how to soothe the day with a love, a nuzzle, a nudge or a happy smile. He also knew how to cuddle up against you when it was cold and when you needed some TLC. Owen was a great friend to Dylan. Owen, I’ll miss you, but never forget you! What have you learned? Are you still learning? I sure hope so! Nothing like your car’s major oil leak on a Sunday to turn your day into mud…..even though it is beautiful and very spring-like outside. Your boyfriend tinkers with the gasket, slides under the car on his back to see where it is leaking and then pours in new oil, hoping to pinpoint the exact location of the leak. Standing in front of the car with its hood open, he asks you to get behind the wheel and just start this aging (paid my son’s tuition off) VW again. You turn over the key and the car shoots forward hitting him, as he has left the car in gear, rather than in Park. Your feet immediately slam on the brakes as you simultaneously turn off the ignition. You jump out to see if he is okay. He’s been knocked off his feet back up on the curb and is stunned, sitting in the grass. He’s okay, if somewhat shocked and bruised. He’s mouthing expletives (in general, not at you,) but grinning. You climb back in the small car and put the car in Neutral and try starting it again. Your own personal oil crisis is averted, but you know it is only temporary. You set up an appointment with your trusty mechanic and hope a new full-time position is right around the corner, so you can retire this aging vehicle. It’s time to window shop for the next car.